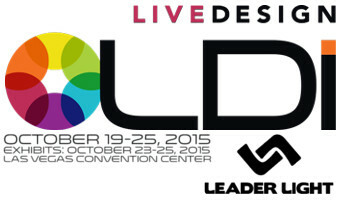 For 28 years Live Design International (LDI) has been the leading global tradeshow and conference for live design professionals. Hosting over 10,000 attendees working in theatre, concerts, clubs, theme parks, and houses of worship and a wide range of international live and broadcast venues, the best in the industry convene from more than 88 countries, traveling to LDI to network, see the latest gear in action, refresh their knowledge, and replenish their creativity. More than 350 companies exhibit, providing live demos and the opportunity for face-to-face discussions about the cutting edge gear they debut exclusively to LDI attendees.